Whether you’re a new driver or have been in the industry for decades, you’ve probably heard great things about McLane Trucking – especially their food service division. As one of the leading trucking companies in the country, McLane offers great pay, excellent benefits and steady work. But how much do they really pay? We get down to the bottom of it by looking at data online and from employees themselves. But first, a little background on the company. McLane calls itself a chain services leader, and provides both food-service and grocery supply chain solutions for mass merchants, convenience stores, chain restaurants and drug stores in the United States. Altogether, the company purchases, sells and delivers over 50,000 consumer products to over 90,000 locations throughout the United States. Through its Empire Distributors Inc. subsidiary, the company also offers alcoholic beverage distribution. And they employ over 20,000 teammates. With an impressive client list, you would expect the company to offer competitive pay and benefits. Is McLane one of the best paying trucking companies? Let’s take a closer look at how much the average driver earns. How much do McLane drivers make in the FoodService division? Median Driver Pay is $58,698. Compared to other positions at the company, tractor-trailer drivers earn the most money, with $67,000 being the average annual wage. As we see often, location plays a major role in how much drivers will earn. The top paid drivers earn about $95,000 a year, and work in Dallas, Texas. Drivers in the city of Nicholasville, Kentucky earn about $53,000 a year, while drivers in Temple, Texas earn $49,000 a year on average. In Rocky Mount, North Carolina, drivers earn about $45,000 per year. Drivers in New Jersey earn about $69,000 per year. Experience will help you earn more money. Drivers with 5 to 9 years of experience on average $51,000 per year. The majority of drivers at the company have between one and four years of experience. All of this information is based on data from Payscale, but what do the actual drivers have to say about compensation? Most drivers state that the average food truck driver salary is in mid-to-upper $60,000 range, with many drivers topping out at $95,000. That’s about in line with Payscale’s data. A few drivers claim to have earned over $100,000, but their data cannot be verified. Many drivers note that the cost of benefits is reasonable, too, with medical insurance costing less than $100 every two weeks. If you’re looking for high-paying CDL driving jobs, McLane is a clear choice. Of course, when you talk about compensation, you also have to take into account benefits and home time. It’s great to earn a high salary, but how much time will you be spending away from home? How great are the benefits? McLane certainly offers some of the top pay in the business, but make no mistake about it –you’ll earn every single penny you’re paid. In fact, the company itself says that driving for McLane is no easy job. As a driver, you’ll be doing more than just driving a truck. McLane drivers are also expected to unload deliveries on their own. 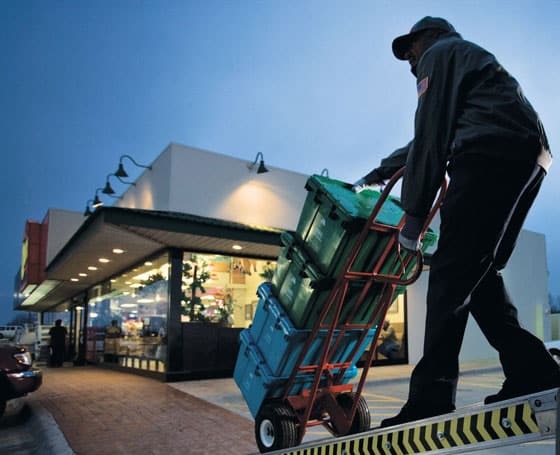 A typical load will have over 30,000 pounds of restaurant products. These products include food items, beverages, paper products, fresh vegetables, and cold and frozen goods. Some boxes may weigh as much as 60 pounds, so drivers will need to be able to meet the physical demands of this job. Many routes require 10 or more stops. 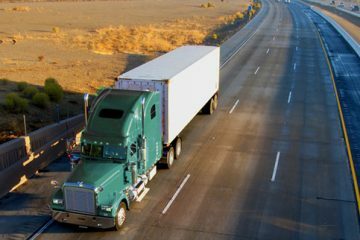 And because routes are often done late at night or early in the morning, drivers are typically given customer-supplied keys and will be responsible for dropping off the shipment in the store. Again, most routes have one single driver, so you’ll be responsible for safe driving and ensuring that deliveries are made on time. 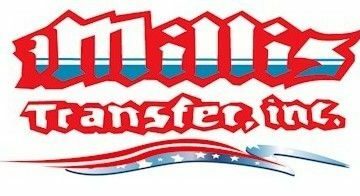 Getting Started With McLane Trucking Co. 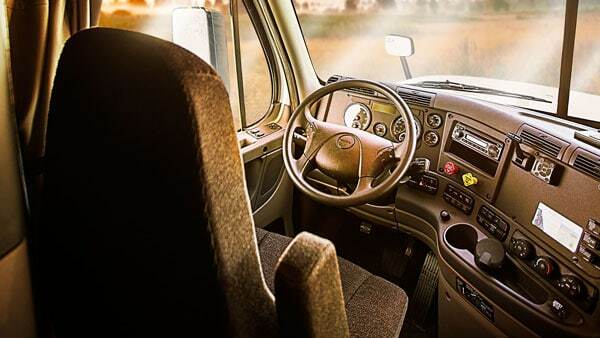 When you first start driving for McLane, you’ll start on the Extraboard. This means that you’ll be covering extra loads or relieving other drivers. You must be flexible and willing to drive anytime you’re needed, including holidays, weekends and nights. Eventually, new hires will get the opportunity to bid on loads and maintain a consistent schedule. Bids are done a few times a year, and those who have been with the company longer will hold more weight when bidding. Driving for McLane may be physically demanding and require schedule flexibility, but drivers enjoy competitive pay, great benefits and steady work. McLane has been in the business for over 100 years, and works with some of the top names in the food industry. There’s plenty of work to be had, but you’ll need to put safety and the customer first at all times. If you’re looking to start a career in the trucking industry and want to earn a higher-than-average salary, McLane should be at the top of your list. 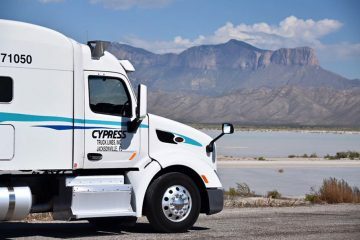 Most newcomers earn between $50,000 and $60,000 per year, and the majority of drivers have been with the company for several years. In fact, almost 30% of the company’s drivers have been with McLane for 7 or more years. That’s pretty impressive for a company in any industry.